PART NUMBER IS 3G9 955 427 A. PART NUMBER IS 7H6 955 425 B.
SHARAN 2003 TO 2010. TOURAN 2006 TO 2008. PART NUMBER IS 5M0 955 426 C.
RS3 2011 - 2013 . A3 / S3 2005 - 2013. A3 Cabriolet 2008 - 2013 . This is aright / UK drivers side wiper arm for the following cars This is a new,genuine Audi part. Part number. Alternative part numbers. (VW TOUAREG 2006 3.0 V6 TDI DRIVER SIDE FRONT WIPER ARM. FUEL TYPE:DIESEL. BODY TYPE: 5 DOOR SUV HARDTOP. ENGINE CODE:BKS / CATA. 2) Fault or failure of an ancillary component, for example a radiator, timing belt, water pump, fuel injection system, turbo, coolant, gasket, hoses, etc. Passat B6 2006 - 2014 (UK right hand drive only). 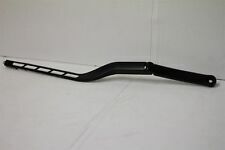 This is a left / UK passenger side wiper arm for the following cars This is a new,genuine Volkswagen part. Part number. Alternative part numbers. Useful Links. VW TOURAN 2005. LEFT SIDE FRONT SCREEN WIPER ARM. UNIT 5 CARLUKE ST, FOUNTAIN MILL, BLACKBURN, LANCASHIRE, BB1 3JR, ENGLAND. We also specialize in used car parts that have already been removed and shelved. Removed from 2013 VW Polo S 70 1.2 Petrol, 70BHP, 5 Speed manual, Engine code CGPA, 5Dr hatchback, Paint code LP3G-"Flash Red". Scilly Isles. Channel Islands. Isle of Wight. Isle of Man. The Scottish Islands. Volkswagen Golf MK6 1.4 Petrol 1,390cc 80bhp -. Rear Wiper Arm LEG Gearbox 5 Speed Manual. Only Part Number match is! CGGA Engine Code. Important Information! 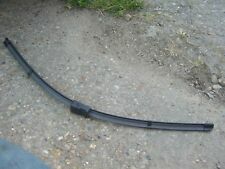 (VW CADDY 2008 PASSENGER SIDE REAR WIPER ARM. 2) Fault or failure of an ancillary component, for example a radiator, timing belt, water pump, fuel injection system, turbo, coolant, gasket, hoses, etc. Help us keep your car going for longer! Helpful information:- We believe this part fits VARIOUS MODELS. REAR WIPER ARM. Make Supersized Seem Small. VOLKSWAGEN GOLF Mk IV 1.9 TDI 1998 to 2001, [AJM], 115BHP. Parts can also be collected in person from our unit. Location below. J.A.R SALVAGE LTD.
(BODY TYPE: 5 DOOR HATCHBACK. YEAR: 2012. AXLE STYLE: FRONT WHEEL DRIVE. THE RIGHT PART YOU WILL RECEIVE THE EXACT ITEM THAT YOU SEE IN THE IMAGES. 2) Fault or failure of an ancillary component, for example a radiator, timing belt, water pump, fuel injection system, turbo, coolant, gasket, hoses, etc. This will fit 2003-2008 MK5 VW GOLF 1.9 TDI BXE 5DOOR But I would ask that you double check your own Part Visually before buying/bidding. RIGHT AND LEFT FRONT WIPER ARMS ARM ​please use new blade ​May Have Minor Visible Usage Marks On It And May Need Cleaning Working Order/Sold As Per Picture Please Check The Pictures Above To See Item Condition 30 days customer piece of mind. Help us keep your car going for longer! Provide phone number at checkout so courier can text you. REF MA1380 (JA2808) Helpful information:- We believe this part fits VARIOUS MODELS . It is a well known fact that in the motor industry it can be difficult to purchase the correct part due to changes (for example upgrades or face lifts) on a vehicle through out its length of production. Is This The Right Part For Your Vehicle?​ Before Committing to " Buy it now ", It Is Buyer's Responsibility : To Double Check His Own Part Visually. To Ensure The Part Is Right And Will Fit His Car. And Donot Forget to Provide Your Contact Number At Checkout.(ForOfficeUseRefMA1450​). Please Contact Us, Before Leaving: Negative Or Neutral Feedback And Bad (Five Star) Ratings​​. BLADE NOT INCLUDED. IF THERE ARE PART NUMBERS IN THE ADVERT, THEY'RE THERE FOR A REASON. THIS MUST BE CHECKED PHYSICALLY AGAINST THE PART YOU ARE REPLACING. IF IT DOES NOT MATCH THEN IT IS MORE THAN LIKELY WILL NOT WORK ON YOUR CAR. 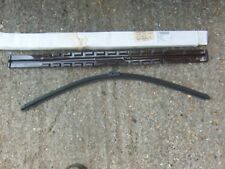 (VW CRAFTER LUTON VAN 2009 PASSENGER SIDE FRONT WIPER ARM. 2) Fault or failure of an ancillary component, for example a radiator, timing belt, water pump, fuel injection system, turbo, coolant, gasket, hoses, etc. This Is Removed From 2008 1.9 TDI 5DOOR HATCHBACK VW GOLF And will fit 2003-2008 1.9 TDI 5DOOR HATCHBACK VW GOLF. But , I would ask that you double check your own Part Visually before buying/bidding. Please note that the above photo is an example Please expect general wear/tear otherwise in good condition Genuine & original Used PARTS, 30 days customer piece of mind. Help us keep your car going for longer! Provide phone number at checkout so courier can text you. Ref MA1092 Any questions please ask, thanks for looking. 3C2955409B / 3C2 955 409 B. VW Passat B6 Passenger Side Left Front Aero Wiper Arm. VW Passat B6. Manufactures Part Number Collection on all parts is possible during work hours which are VIN Number. 1J6955707A / 1J6 955 707 A. The wiper blade is used so may need replacing prior to fitting the wiper arm. Golf 1998 - 2006 & Passat / Variant 2003 - 2005 & Ibiza 1999 - 2002. Other Superseded Numbers. Taken From The Model:VW Polo 1.2 Petrol 5 Door Hatch 2004. Trim Type: 5 DOOR HATCHBACK Reg Date: 18-12-2004. Model: POLO TWIST Manf Date An item has been previously used. Door plan: 5 Reg Date UK: 18-12-2004. VOLKSWAGEN MULTIVAN T5 (2003-2009). VOLKSWAGEN TOURAN (2003-2010). VOLKSWAGEN TIGUAN (2007- onwards). 1 REAR WINDSHIELD WIPER ARM WITH BLADE. Always carefully compare OE number and pictures with your old part. (VW CRAFTER 07-11 PASSENGER SIDE FRONT WIPER ARM. 2) Fault or failure of an ancillary component, for example a radiator, timing belt, water pump, fuel injection system, turbo, coolant, gasket, hoses, etc. 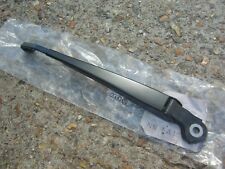 (VW CRAFTER LUTON VAN 2009 DRIVER SIDE FRONT WIPER ARM. 2) Fault or failure of an ancillary component, for example a radiator, timing belt, water pump, fuel injection system, turbo, coolant, gasket, hoses, etc. You are a valued customer and I appreciate your business. However, I would ask That you please read the description of this item carefully.​ (ForOfficeUseRefMA2337). Is This The Right Part For Your Vehicle?�� Before Committing to " Buy it now ", It Is Buyer's Responsibility : To Double Check His Own Part Visually. To Ensure The Part Is Right And Will Fit His Car. And Donot Forget to Provide Your Contact Number At Checkout. Please Contact Us, Before Leaving: Negative Or Neutral Feedback And Bad (Five Star) Ratings​​. Is This The Right Part For Your Vehicle?​ Before Committing to " Buy it now ", It Is Buyer's Responsibility : To Double Check His Own Part Visually. To Ensure The Part Is Right And Will Fit His Car. And Donot Forget to Provide Your Contact Number At Checkout(ForOfficeUseRefMA227). Please Contact Us, Before Leaving: Negative Or Neutral Feedback And Bad (Five Star) Ratings​​. Is This The Right Part For Your Vehicle?​ Before Committing to " Buy it now ", It Is Buyer's Responsibility : To Double Check His Own Part Visually. To Ensure The Part Is Right And Will Fit His Car. And Donot Forget to Provide Your Contact Number At Checkout(ForOfficeUseRefMA2206). Please Contact Us, Before Leaving: Negative Or Neutral Feedback And Bad (Five Star) Ratings​​. (VW CRAFTER 07-11 DRIVER SIDE FRONT WIPER ARM. 2) Fault or failure of an ancillary component, for example a radiator, timing belt, water pump, fuel injection system, turbo, coolant, gasket, hoses, etc. Shop And Pay With Confidence As There Is eBay Money Back Guarantee. The Actual Item will fit 2003-2008 1.9 TDI BXE 5DOOR HATCH MK5 VW GOLF. But, I Humbly Request You To Double Check Your Own Part Visually ​Before Buying/Bidding. Before Committing to " Buy it now ", ​Please Try To View The Actual Image Provided. As It Is Used/Pre-owned Item So Please Expect Storage Marks such as scratches, corrosion, paint flakes etc. Please Provide Your Contact Number At Checkout So Courier May contact You (If you are not in).Ref MA1571 Feedback And Ratings Before Leaving Feedback And (Five Star) Ratings, Please Give Us The Opportunity By Emailing or Phoning Us,To Rectify Any Problems Or Mistakes In Regards To The Order Or Product. (Pictures Are Of The Actual Item, What You See Is What You Get.) The Actual Item Is Removed From 2007 2.0 TDI BKD DIESEL 5DR HATCHBACK And will fit 2004-2008 2.0 TDI BKD DIESEL 5DOOR HATCHBACK. But , I Would Ask That You Double Check Your Own Part Visually Before Buying/Bidding. Please Expect General Wear/Tear Otherwise In Good Condition Genuine & Original Used PARTS, 30 Days Customer Piece Of Mind. Help Us Keep Your Car Going For Longer! Provide Phone Number At Checkout So Courier Can Text You. Ref MA735 Any questions please ask, thanks for looking. This will fit 2007 MK5 VW GOLF 5DOOR HATCHBACK 2.0 SDI But I would ask that you double check your own Part Visually before buying/bidding. RIGHT AND LEFT FRONT WIPER ARMS ARM ​please use new blade May Have Minor Visible Usage Marks On It And May Need Cleaning Working Order/Sold As Per Picture Please Check The Pictures Above To See Item Condition REF MA1236 (JA1849) SOME POSTCODES excluded AB G BT i.e the ones we get surcharged on. FOR SCOTTISH HIGHLANDS, ISLANDS OF SCOTLAND, ISLE OF MAN, IRELAND, NORTHERN IRELAND, OR ANY OVERSEAS BUYERS PLEASE CONTACT US FOR A SHIPPING QUOTE. 30 days customer piece of mind. Help us keep your car going for longer! Provide phone number at checkout so courier can text you. Helpful information:- We believe this part fits VARIOUS MODELS . Shop And Pay With Confidence As There Is eBay Money Back Guarantee. The Actual Item will fit 2003-2008 1.9 TDI BXE 5DOOR HATCH MK5 VW GOLF. But, I Humbly Request Valued Customers: Please Do Not Completely Rely Upon The Above Vehicle's Compatibility List As This Is A Guide Only. Its Your Responsibility To Double Check Your Own Part Visually ​Before Committing to " Buy it now " ​. Please Expect Storage Marks such as scratches, corrosion, paint flakes etc. As This Is Used/Pre-owned Item. Please Provide Your Contact Number At Checkout So Courier May contact You (If you are not in).Ref MA1988 Please Give Us The Opportunity, To Rectify Any Problems Or Mistakes In Regards To The Order Or Product, Before Leaving Any Feedback And (Five Star) Ratings. Is This The Right Part For Your Vehicle?​ Before Committing to " Buy it now ", It Is Buyer's Responsibility : To Double Check His Own Part Visually. To Ensure The Part Is Right And Will Fit His Car. And Donot Forget to Provide Your Contact Number At Checkout.(ForOfficeUseRefMA1567​). Please Contact Us, Before Leaving: Negative Or Neutral Feedback And Bad (Five Star) Ratings​​. No blade ​The Above Vehicle's Compatibility List Is A Guide Only.You Are A Valued Customer And I Appreciate Your Business. The Actual Item will fit VW GOLF MK5 2007 5DR HATCH 1.9 TDI BXE BKC. But, I Humbly Request You : Before Committing to " Buy it now ", It Is Buyer's Responsibility To Double Check His Own Part Visually And To Ensure The Part Will Fit His Car. Before Leaving Any Feedback And (Five Star) Ratings, Please Give Us The Opportunity, To Rectify Any Problems Or Mistakes In Regards To The Order Or Product. Item Will Come As Pictured.Ref MA2410 Please Expect Storage Marks such as scratches, corrosion, paint flakes etc. As This Is A Second Hand/Used/Pre-owned Item. We Security Mark All Of Our Items Both Visably And Invisibly To Protect Returns. Removal Of Security Mark Will Invalidate Item's (30 Days) Warranty. You are a valued customer and I appreciate your business. However, I would ask That you please read the description of this item carefully.​ (ForOfficeUseRefMA845). Is This The Right Part For Your Vehicle?​ Before Committing to " Buy it now ", It Is Buyer's Responsibility : To Double Check His Own Part Visually. To Ensure The Part Is Right And Will Fit His Car. And Donot Forget to Provide Your Contact Number At Checkout. Please Contact Us, Before Leaving: Negative Or Neutral Feedback And Bad (Five Star) Ratings​​. You are a valued customer and I appreciate your business. However, I would ask That you please read the description of this item carefully.​ (ForOfficeUseRefMA2185). Is This The Right Part For Your Vehicle?​ Before Committing to " Buy it now ", It Is Buyer's Responsibility : To Double Check His Own Part Visually. To Ensure The Part Is Right And Will Fit His Car. And Do not Forget to Provide Your Contact Number At Checkout. Please Contact Us, Before Leaving: Negative Or Neutral Feedback And Bad (Five Star) Ratings​​. Shop And Pay With Confidence As There Is eBay Money Back Guarantee. The Actual Item will fit 2003-2008 1.9 Tdi Bkc Bxe 5door Hatch Mk5 Vw Golf.You Are A Valued Customer And I Appreciate Your Business. But, I Humbly Request You : Comes As Pictured. Please Give Us The Opportunity, To Rectify Any Problems Or Mistakes In Regards To The Order Or Product, Before Leaving Any Feedback And (Five Star) Ratings. We Security Mark All Of Our Items Both Visably And Invisibly To Protect Returns. Any Buyers Caught Commiting Fraud Will Immediately Be Reported To Ebay And The Police For This Criminal Offence, Without Question. Please Expect Storage Marks such as scratches, corrosion, paint flakes etc. As This Is A Second Hand/Used/Pre-owned Item. Please Provide Your Contact Number At Checkout So Courier May contact You (If you are not in). Is This The Right Part For Your Vehicle?​ Before Committing to " Buy it now ", It Is Buyer's Responsibility : To Double Check His Own Part Visually. To Ensure The Part Is Right And Will Fit His Car. And Donot Forget to Provide Your Contact Number At Checkout. (ForOfficeUseRef MA1501). Please Contact Us, Before Leaving: Negative Or Neutral Feedback And Bad (Five Star) Ratings​​. This will fit 2006 B6 1.9 TDI VW PASSAT SALOON But I would ask that you double check your own Part Visually before buying/bidding. RIGHT AND LEFT FRONT WIPER ARMS ARM please use new blade May Have Minor Visible Usage Marks On It And May Need Cleaning Working Order/Sold As Per Picture Please Check The Pictures Above To See Item Condition REF MA1190 (JA1786) SOME POSTCODES excluded AB G BT i.e the ones we get surcharged on. FOR SCOTTISH HIGHLANDS, ISLANDS OF SCOTLAND, ISLE OF MAN, IRELAND, NORTHERN IRELAND, OR ANY OVERSEAS BUYERS PLEASE CONTACT US FOR A SHIPPING QUOTE. 30 days customer piece of mind. Help us keep your car going for longer! Provide phone number at checkout so courier can text you. Helpful information:- We believe this part fits VARIOUS MODELS . Shop And Pay With Confidence As There Is eBay Money Back Guarantee. The Actual Item will fit 2003-2008 1.9 TDI BXE 5DOOR HATCH MK5 VW GOLF. But, I Humbly Request You To Double Check Your Own Part Visually & ​Before Buying/Bidding. Before Committing to " Buy it now ", ​Please Try To View The Actual Image Provided. As It Is Used/Pre-owned Item So Please Expect Storage Marks such as scratches, corrosion, paint flakes etc. Please Provide Your Contact Number At Checkout So Courier May contact You (If you are not in).Ref MA1571 Feedback And Ratings Before Leaving Feedback And (Five Star) Ratings, Please Give Us The Opportunity By Emailing or Phoning Us,To Rectify Any Problems Or Mistakes In Regards To The Order Or Product.